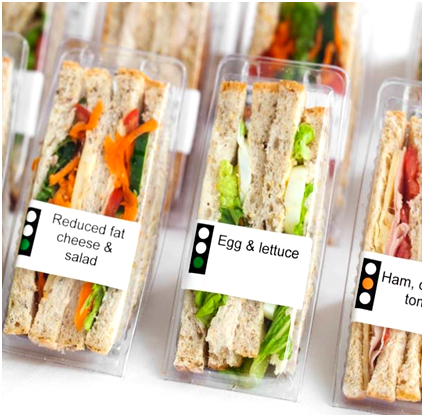 With Victorians becoming more aware of the importance of healthy eating, and people eating out more frequently, the demand for healthy food and drink options in cafes, kiosks and canteens is steadily increasing. Offering healthier options in your outlet can be easy. We’ve listed some simple changes below that will have a big impact on the healthiness of the food and drinks offered. Try some of them today! 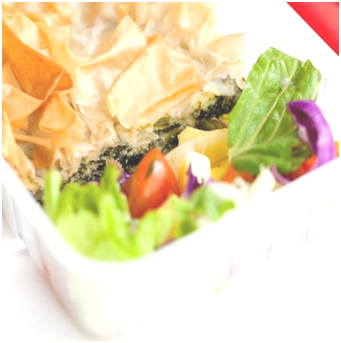 Offer half-size or mini-size serves of meals, snacks and drinks. If offering hot chips, halve the amount served. Make salad or mixed vegetables the default side dish (rather than hot chips) for main meals. Include fruit, vegetable or salad items in the cost of every meal and snack. Avoid charging extra. Avoid deep frying. Schnitzels, falafels, chips, wedges can all be oven baked. Replace butter with margarine for cooking and in sandwiches. Offer low fat mayonnaise as an alternative to margarine in sandwiches. Make reduced fat milk the default milk type for hot and cold drinks. Reduce the amount of oil used in cooking. Use non-stick cookware or spray oil (such as canola or olive oil). Avoid adding salt when cooking. Flavour foods with herbs and spices instead. Use reduced salt versions of sauces, stocks and gravy. Use lean roast meats, or tuna in spring water instead of highly processed meats (such as salami, ham, pastrami). 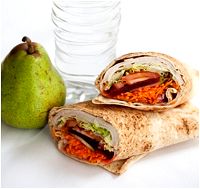 Make wholemeal or wholegrain bread your default bread type for sandwiches, rolls and wraps. If baking, replace half of the flour with wholemeal flour, bran or oats to increase the fibre content. Make self-serve tap water available with meals. Offer a selection of diet drinks. Offer half soda water half fruit juice options. Provide smaller serving sizes of soft drinks, fruit drinks, energy and sport drinks. Ensure healthier items are placed in visible areas, such as placing a fruit bowl next to the cash register. Promote your healthier options on menus, display boards and labels, and avoid promoting the less healthy items, such as deep fried foods or sugary drinks. Include healthier items in ‘meal deals’, such as offering water with meals instead of soft drink, or offering raisin toast with coffee, not muffins. For more information on providing healthier foods and drinks in your food outlet, contact the Healthy Eating Advisory Service on 1300 22 52 88 or email us.